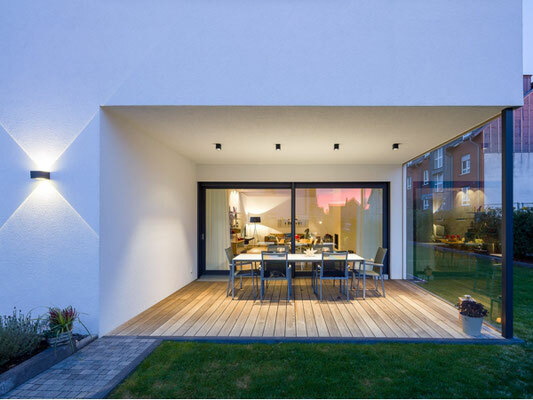 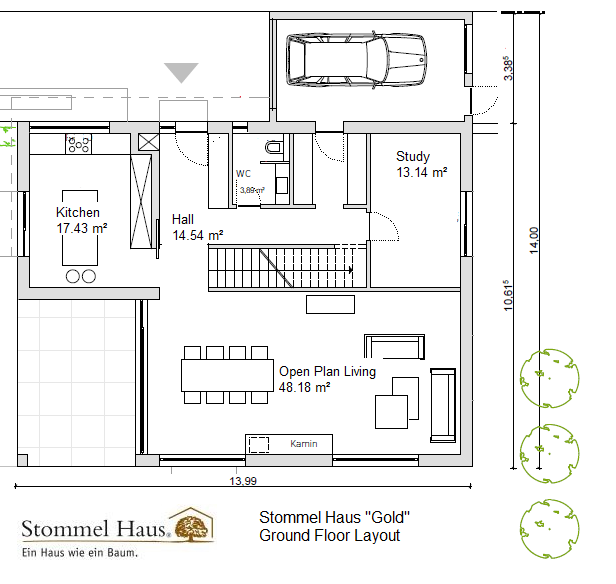 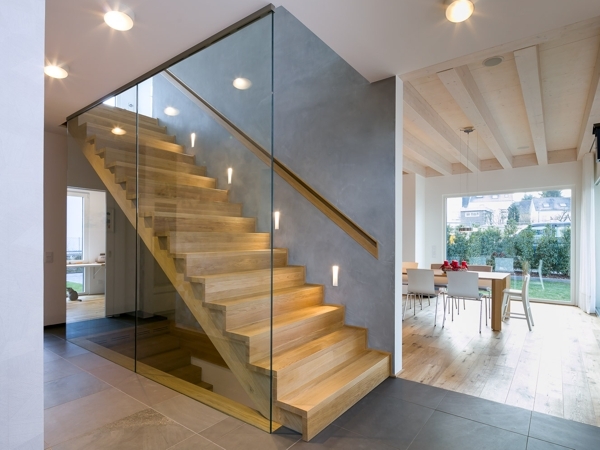 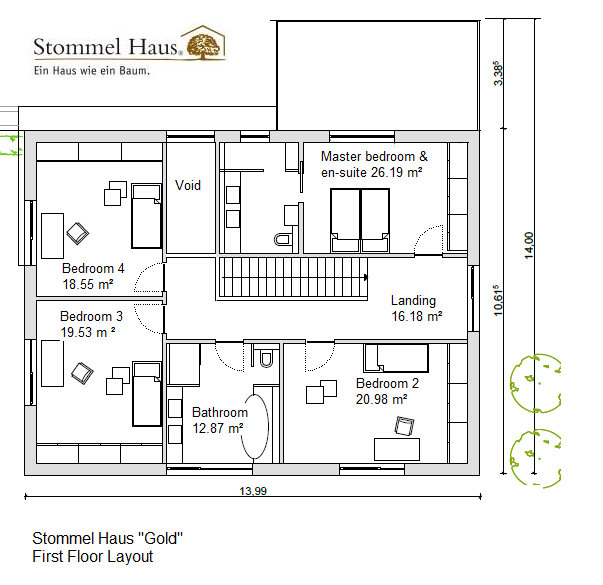 Stommel Haus "Gold" is a bespoke family home with 4 bedrooms and 220 m² living space. 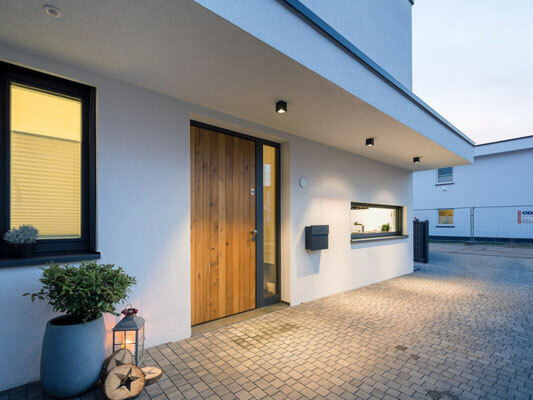 The clients were looking for a contemporary timber house inspired by Bauhaus style with classical architectural styles on one hand and sustainablility, energy efficiency and high quality on the other. 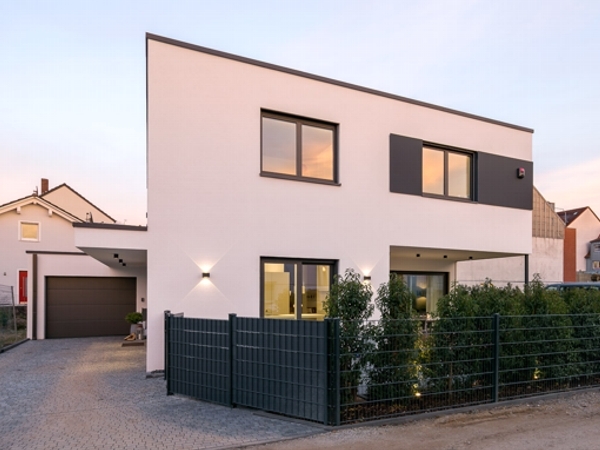 Bauhaus style in architecture and interior design is very sought after in Germany where the Bauhaus school started its work almost 100 years ago in 1919 and has become a classic in the meantime. 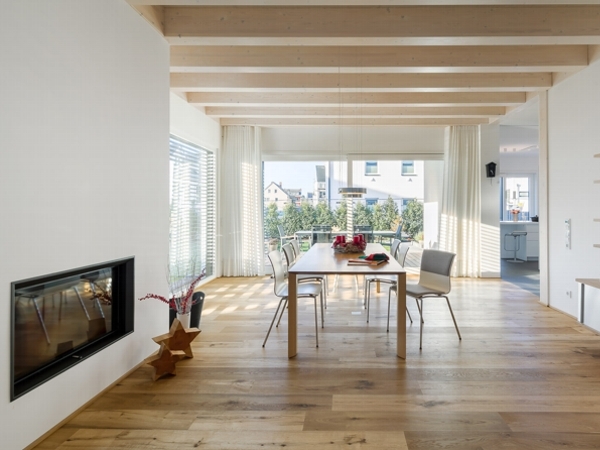 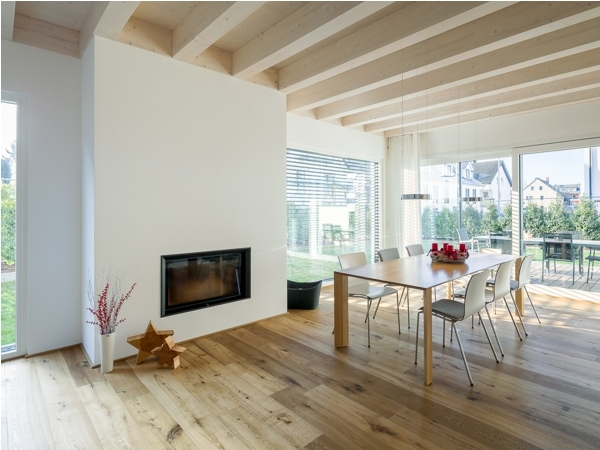 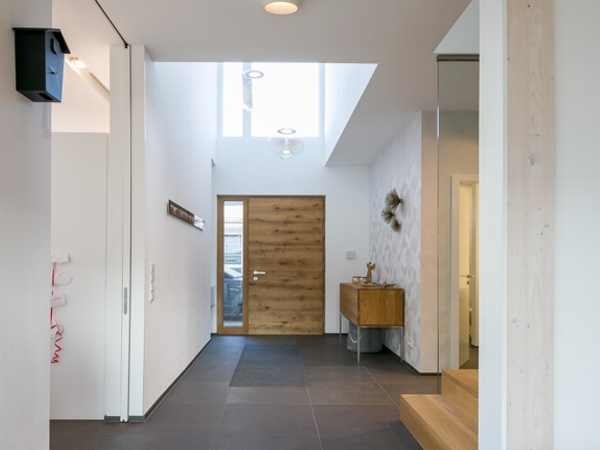 If you thought that timber construction and Bauhaus don't go together well - think again: Timber is a fantastic, sustainable and healthy building material and Stommel Haus aspire to use this wonderful material to build almost any architectural style. 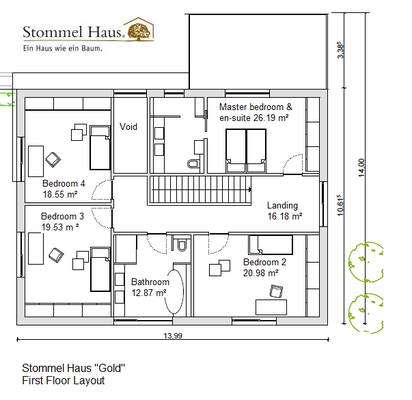 We believe that Stommel Haus "Gold" is an exciting demonstration of beauty, high quality craftmanship and energy efficiency. 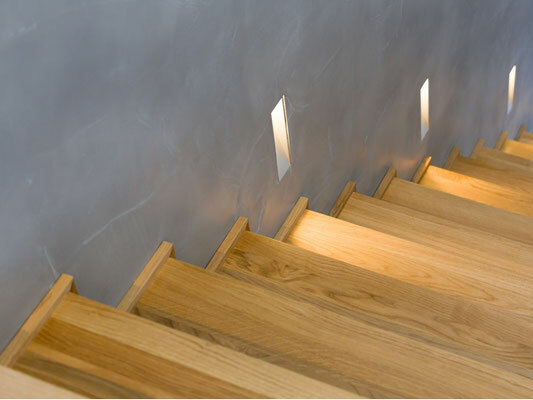 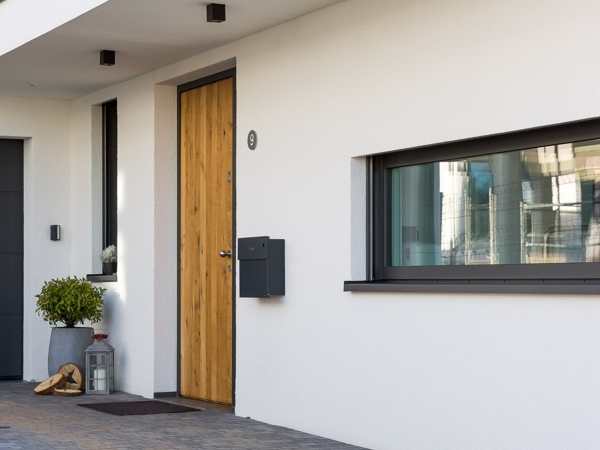 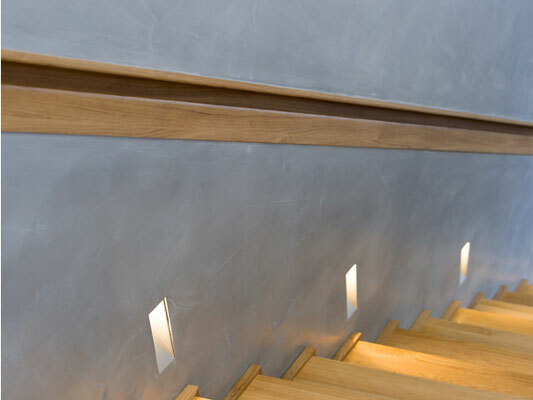 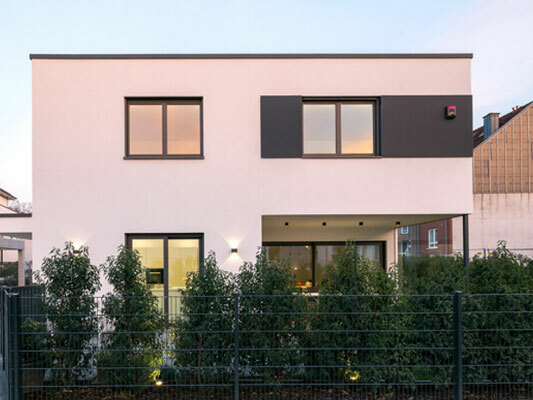 If you are interested in this style, also have a look at the houses "Blue Willow", "Troisdorf" and "Orchid" to get an inspiration for your own minimalistic and contemporary bespoke eco home.